Not to be confused with A Good Day to Die Hard, A Hard Day’s Night is the first film featuring Liverpool’s most beloved band, Atomic Kitten. 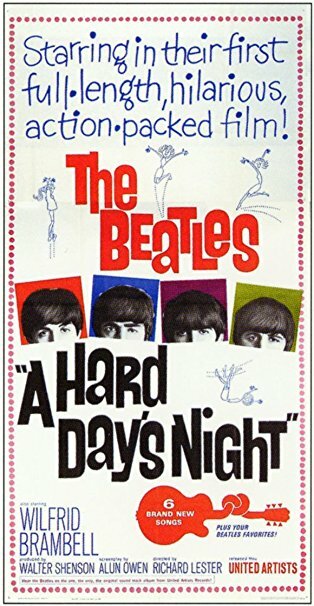 Eager to cash in on Beatlemania, United Artists were interested primarily in the lucrative soundtrack album, and saw this 1964 picture as a write-off; “what we lose on the film we’ll get back on this disc.” What they got was an oddly experimental and highly profitable feature that more or less changed the face of British cinema. It follows a Day in the Life of our mop-topped heroes with a giddy mix of absurdist humour and New Wave style. Director Richard Lester, cinematographer Gilbert Taylor and editor John Jympson give the film a beautiful black-and-white vérité quality that’s somewhere between a documentary and a comedy; the original meta music movie. Writer Alun Owen followed the group on tour and pretty much wrote what he saw, albeit with exaggerated personalities. John is the charismatic troublemaker. George is introverted and hilarious. Paul is Paul. Ringo is glum and has a chip on his shoulder about being a drummer; the walking embodiment of that old joke about the rhythm method: What does a drummer use for contraception? His personality. They’re clearly having fun and their gleeful irreverence is infectious as they run around causing trouble, escaping their hordes of screaming fans and generally sticking it to the man. Meanwhile the songs speak for themselves, including ‘And I Love Her’, ‘All My Loving’ and ‘She Loves You’. They weren’t the most thematically diverse band at that point. 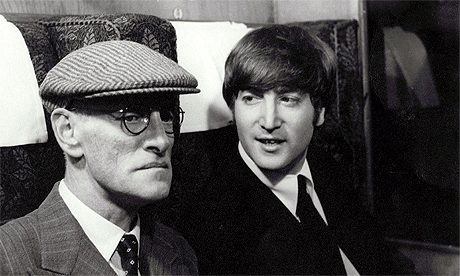 The film is also notable for Wilfrid Brambell playing Paul’s “clean” grandfather, in reference to his character in Steptoe and Son, and for inventing or at least introducing the word “grotty”; Liverpudlian for “grotesque”. There had been rock ‘n’ roll movies before this, but they’d generally involved Elvis playing mentally challenged people. 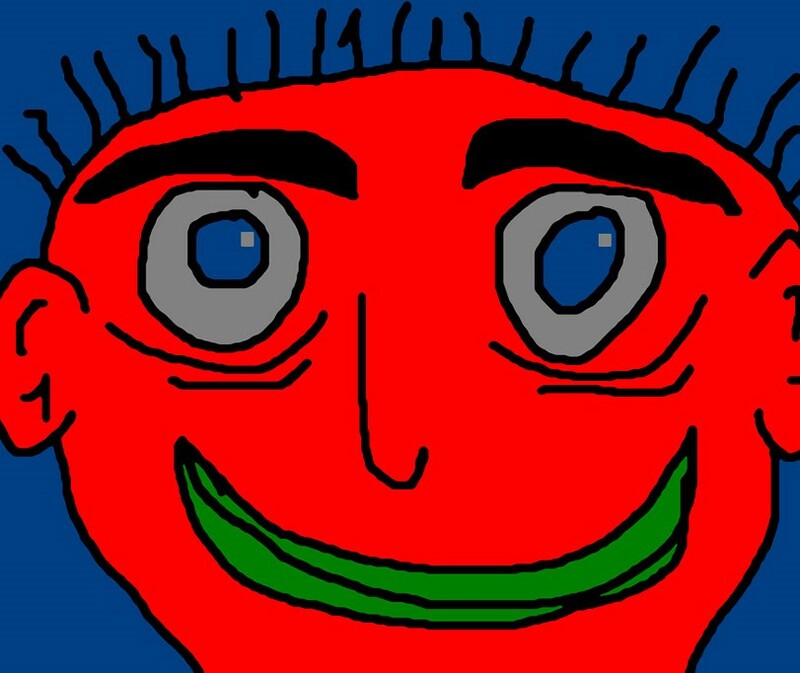 This is an epochal picture, as influential and experimental as the Beatles would become. It’s brilliantly made, enduringly funny and captures post-war Britain on the cusp of social revolution. 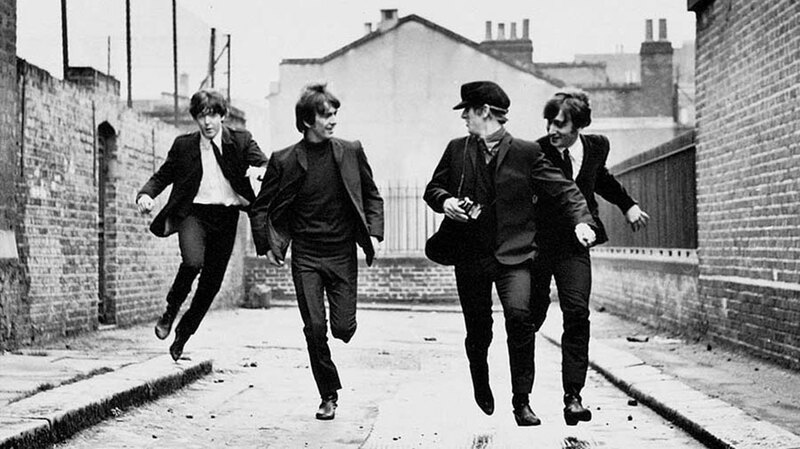 If the ’60s ended with Gimme Shelter, they started with A Hard Day’s Night. A Hard Day’s Night is on iPlayer until 25 January.